Western Auto is an authorised car service station based in Melbourne. We are dedicated to providing quality service and over the years, we’ve built up a reputation we’re proud of, as trusted experts in the car service industry. As a car owner, your vehicle is one of your most important assets and you need to be able to rely on it every day. You need a mechanic that can offer the full package and have your vehicle running safely and efficiently on the roads. 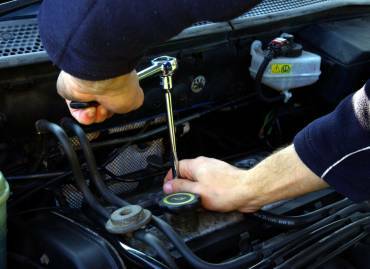 So, if you require maintenance, repairs or just a check-up, go no further than Western Auto car mechanic, Melbourne. Our vehicle technicians are fully qualified to carry out minor and major mechanical repairs and we always operate in an honest, transparent manner. Other services we offer at competitive prices include: log book service, Roadworthy Certificate, air conditioning regas service, air con repair, auto electrical work and more. 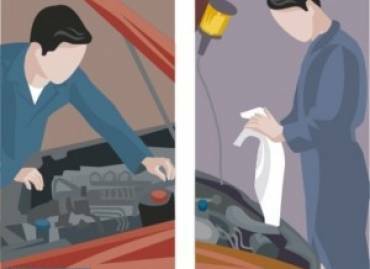 If your vehicle needs a comprehensive minor or major service, see our package services for one that suits you. We’re dedicated to keeping environmental impact to a minimum, because we understand that the auto industry often emits harmful waste onto the planet. To do this, we always ensure that waste oils, filters and fluids that we remove from vehicles are disposed of in a responsible manner. So, you can have confidence in your vehicle and our processes. When there’s an issue with your car, you need fast, reliable and affordable service. Get an instant quote for car repairs, services or other requirements by calling or emailing Western Auto. We’ll get back to you as soon as we can. Don’t neglect your vehicle because of expensive repairs. We offer 0% interest-free finance available through Lombard Finance. Simply spread the cost of your vehicle repair over 6, 9 or 12 months. Payment plans are available for all kinds of repair and maintenance, including roadworthy inspection. Western Auto is the one-stop shop for car service and maintenance. We promise to deliver high-quality, professional and trustworthy services to all customers and all brands of car. We’re an authorised car service station, staffed by highly qualified and licensed auto technicians. 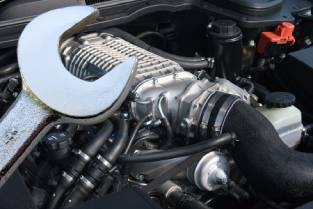 Each mechanic at Western Auto is thoroughly experienced in providing complete auto repair and maintenance services, as well as inspecting vehicles for roadworthiness. We’re a proactive business that’s always looking to make improvements. Our future success fully depends on ensuring that our customers are satisfied with our services, so we make sure it’s the best. Western Auto, providing car service to customers in Tottenham, Brooklyn, Maribyrnong, West Footscray, Yarraville, Braybrook, Sunshine West, Sunshine and Maidstone. At Western Auto, we endeavour to provide outstanding levels of service and the highest levels of workmanship to all of our customers, so that your experience at our service station is an enjoyable one. Our experts are on-hand at our station in Melbourne to handle all aspects of your vehicle. Easily get a free quote or book in with a professional mechanic at Western Auto by calling 03 9314 6522. Panel Beater or Insurance Company: Who Should You Call After An Accident? There can be nothing more frustrating than a car broken down in the middle of nowhere or refusing to budge an inch..